There are over 100 components in your central air conditioning system, and well over 50 types of things that could go wrong. If you are currently having a problem with your air conditioning system, contact us and we’ll send one of our Master air conditioning repair technicians out to diagnose your system. Once they have identified the problem, they will explain what the problem is, what options are available, and how your particular situation can be repaired using our straightforward pricing. Our peace of mind quality air conditioning service is second to none. We are one of the premier AC companies in the area. 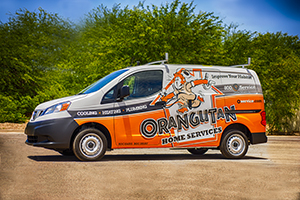 With Orangutan Home Services, we provide smaller service window times and we let you choose the appointment time. We provide Arizona with the largest residential fleet available and all of our A/C technicians keep their trucks fully stocked with replacement parts so most repairs can be made immediately. Call us today for our expert AC repair services. If your system is suddenly not repairable, then replacement is the only option. At Orangutan Home Services we offer all sizes and types of air conditioners to suit your needs. 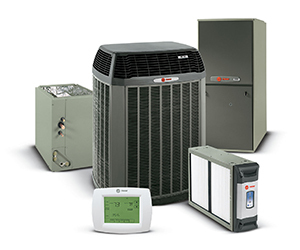 We install top brands like Lennox, Trane, Rheem, and Maytag and are The Home Depot’s 2nd largest certified contractor in the United States and the largest in Arizona. We provide quality AC service. Contact us to get a technician out for a Free Estimate on a unit sized exactly to fit your home and your needs. Find out what your power bill savings could be by upgrading or replacing your old unit, Click Here to go to SRP’s site and use their seer calculator. 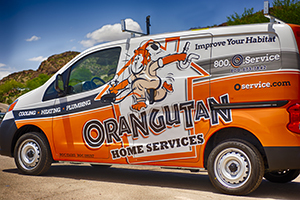 Orangutan Home Services offers the best and most affordable option to avoid costly repairs, replacements, inconveniences, lack of comfort, and safety concerns. They’re like smoke alarms, helping prevent major problems and putting out fires before they become catastrophes. With Arizona’s #1 HVAC Maintenance Plan you can join the nearly 40,000 homeowners in your neighborhood who receive special member benefits. You will notice increased energy savings, enhanced comfort, a safer home and a front-of-the-line pass for any service issues that may arise. Your Maintenance Plan provides you with a free annual Air Conditioning checkup, a free annual Heating checkup, no charge for drive times, no overtime or evening rates and service 365 days a year! 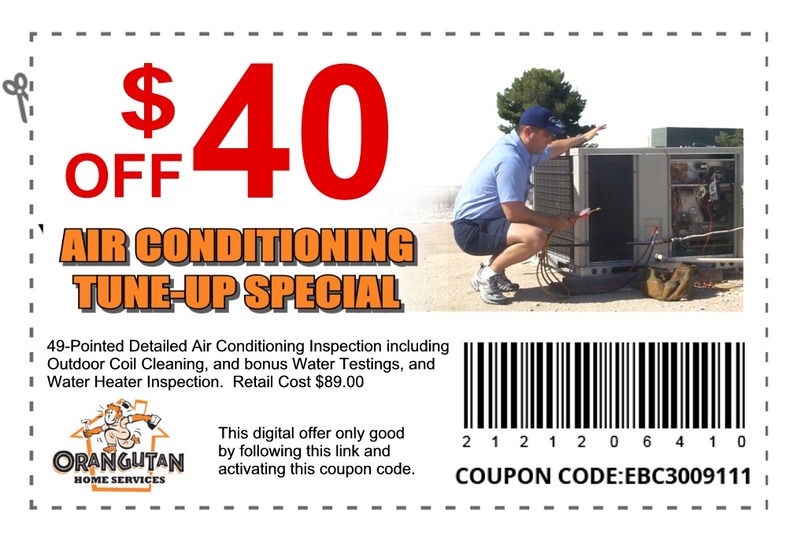 In addition you will qualify for 50% off refrigerant, 20% off lowest repair diagnostic, 20% off replacement parts and even 10% off a replacement system. Best of all, our Maintenance Plans are fully transferrable. With labor, gas, and metal driving prices higher, investing in multiple years is a great way to beat inflation and keep costs under control.